A small eastern Ontario city has become the latest Canadian municipality to declare climate change as an emergency in need of local government attention. 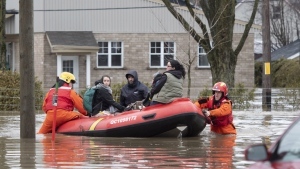 Councillors in Kingston, Ont., voted unanimously in favour of the motion declaring a "climate emergency," which was tabled at a meeting on Tuesday. The move comes after similar motions were passed in Vancouver and Halifax in January. The Kingston motion does not come with additional funds, but the councillor behind it says it should be seen as more than a symbolic gesture. Coun. Robert Kyley says identifying climate change as a real threat to the world as a whole and Kingston in particular will help hold city officials to account. He says he hopes the motion will keep the issue on the radar as a high priority in need of sustained, concrete action. "If we declare an emergency and then sit on our hands, even for another year . . . none of us should be re-elected," Kyley said before the vote on the motion. "Make no mistake: if we do not act after declaring an emergency, then the egg is on our face." Kyley's motion, which city officials said is believed to be a first in Ontario, saw councillors declare the emergency "for the purposes of naming, framing, and deepening our commitment to protecting our economy, our ecosystems, and our community from climate change." 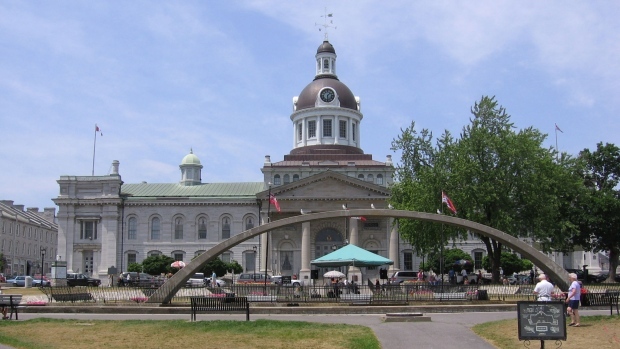 City Mayor Bryan Paterson, who backed Kyley's motion, said it offered Kingston an opportunity to play a leadership role in addressing an issue with global reach. He said research conducted in the city could help develop technology that might make a difference in the worldwide fight against climate change. Closer to home, however, he acknowledged residents may be confused about the meaning of the declaration. "What we're really doing is we're officially declaring this a strategic priority," he said. "This is something that will be a priority and a focus for us for the next four years." A similar approach prevailed when Halifax declared a climate emergency at a meeting in late January. The motion past there stressed the need to treat the issue as a serious and urgent threat while seeking recommendations to speed up meeting municipal climate change targets. Vancouver council took a similar approach when they unanimously passed their motion a few weeks earlier. The resolution gave staff the mandate to "dramatically strengthen" the city's climate action plan. Councillors said doing so could include new methods to reduce greenhouse gas emissions beyond existing climate targets and creating a special working group to support Vancouver's efforts to transition off of fossil fuels. Similar declarations of climate emergencies have also been passed in major international cities such as London and Los Angeles.